Back pain has become a serious cause for complaint, affecting the ability to do work and exercise. For some, performing even simple tasks like bending and sitting can be too painful to bear. Back pain also affects sleep quality. Chronic back pain sufferers get 40 minutes less sleep each night which can put them at risk for a number of health problems such as cardiovascular disease, type 2 diabetes, colorectal cancer and cognitive decline. Tackling back pain requires a multi-layered approach including making changes to lifestyle and getting professional treatment if necessary. Even the way you sleep matters. There are certain positions that can alleviate pain and be mindful of them can help you sleep better. 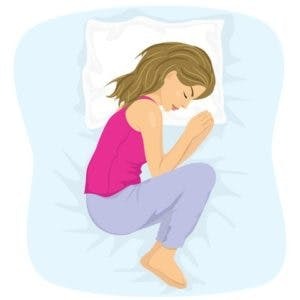 This is the preferred sleeping position for many including those with back pain. It’s comfortable, reduces snoring and reduces neck and back pain. However, it can also pull the spine out of alignment and strain the lower back, which is why you should place a pillow between your knees and a smaller one at your waist. This way, your spine, hips, and pelvis are all kept aligned. The fetal position can provide some relief to people with herniated lumbar discs as it opens up the facets joints in the spine and relieves pressure. To adopt this position, use a pillow to support your head and neck and draw your knees up towards your chest. If you feel a strain on your back, straighten your body a little until you get into a more comfortable position. Sleeping on your back is considered one of the best positions as it keeps the body neutrally aligned by distributing weight evenly. However, it puts some strain on the lower back, and you may wake up feeling a little worse for wear. To prevent this, place a pillow under your knees and another to support your head and neck. You can also put a small pad beneath your lower back. Your mattress can make or break your back and consider you spend 6-8 hours each night on it. It makes sense that you use a well-designed one. Nuvanna is one such mattress as it aims to promote restful sleep by providing proper support to the body. Its Progressive Support System supports each body part to promote spine alignment and reduce pressure on your back. Nuvanna uses a three-layered construction that combines a cooling layer on top, a motion-control middle layer, and a supportive bottom layer. It is designed by an expert with more than 20 years in product innovation and material science. The result is a mattress that guarantees better sleep so that you can lead a better life. Strong back muscles can reduce strain on your spinal discs and improve spinal alignment. They also make it easier to bend, twist and lift. Exercises like Superman, dead bug, swimming and water aerobics are some you can try. However, you should consult a doctor before starting any exercise to rule out other health conditions. He/she can also prescribe exercises specific to the nature of your back pain. A common mistake many make when lifting a heavy object is to use their backs. This puts a lot of strain on the spine and can cause injury. 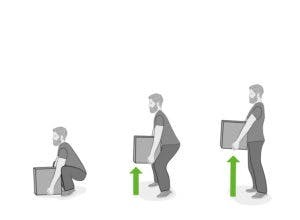 The key to proper lifting is to use your legs while keeping your back straight. Keep the object as close to your body as possible and avoid lifting it above shoulder level. Being overweight comes with a host of health issues and one of them is back pain. Excess weight, especially around the midsection, strains the lower back and can cause injury to the joints. Maintaining a healthy weight can also prevent back problems such as osteoarthritis. In addition, it promotes a more successful recovery in case back surgery is needed. Back pain is a literal pain to live with and it can take a while to be treated. However, it doesn’t have to dominate your life. You can wrest back control by making small changes to your lifestyle like adjusting your sleeping position, Use the best mattress for back pain relief that’s designed to align the spine and support the body, and incorporate strengthening exercises into your daily routine.